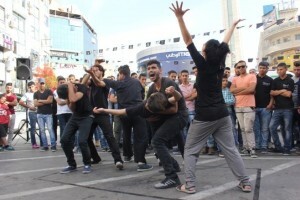 Interactive Theatre as Tool for Social Change is a project by The Freedom Theatre in partnership with Ashtar Theatre, aiming to use theatre to interact with people and to push for political and social change. The project consisted of street theatre, forum plays and playback theatre, which involve audiences in the act of creation and allows them to interact and express themselves. The Freedom Theatre performed a series of playback theatre, during which the audience participated by telling an experience, that the actors then had to turn into a performance. 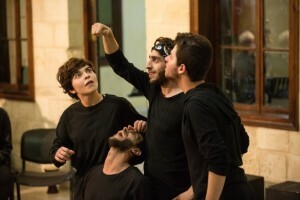 From these stories told in the interactive plays, the play Return to Palestine was written and produced, and then performed in the streets and in settings that are very accessible to the public, in different cities and refugee camps in the west bank, and in Refugee camps in Jordan, as well as in Amman. Return to Palestine was performed by 6 theatre students coming from different parts of Palestine. These 6 actors, received workshops and training to develop and deepen their knowledge of this kind of interactive theatre. 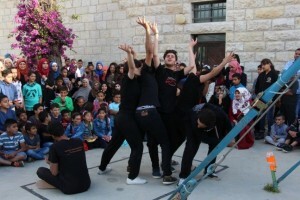 The play was performed 16 times in different cities the West Bank and reached 1900 spectators of all age groups. 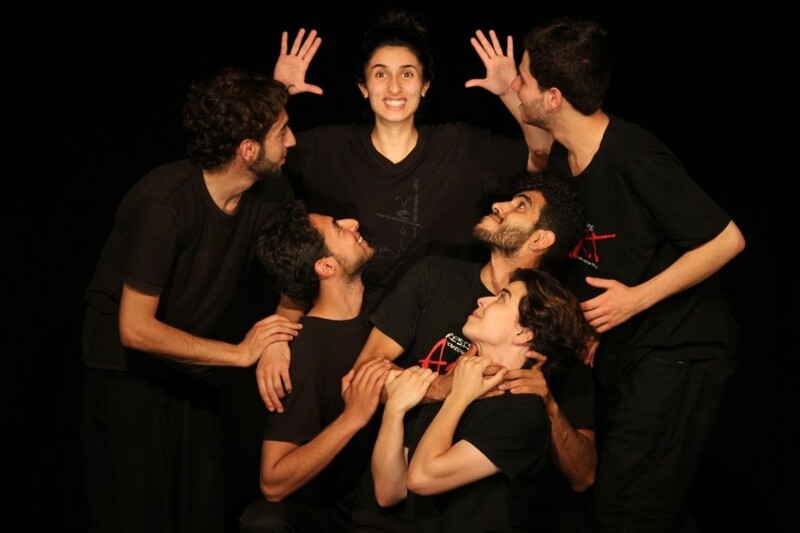 In addition, the partner in this project, Ashtar Theatre performed Machine and Hammer, Gaza Monologues and Syrian monologues in different areas in the West Bank. 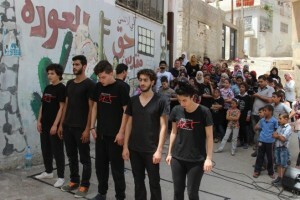 The project also included a tour with workshops and performances in Jordan, specifically, in Refugee camps and in Amman. SouthMed CV is co-funded by the EU within the framework of the regional programme Med Culture. This project is co-funded by the European Union within the framework of the regional programme Med Culture. This content is the sole responsibility of Interarts and can under no circumstances be regarded as reflecting the position of the European Union.